Van Halen was particularly big in the US during the 1970s and 1980s. David Lee Roth was their lead singer and also somewhat of an technical operations expert. In fact Van Halen was a pioneer in many ways for touring rock bands. They were one of the first to take a really big action-packed rock concert to smaller cities and towns across America. In one year they did more than 100 concerts across the US. The technical set-up for these concerts was on a massive scale, Van Halen would haul 9 semi trailers worth of equipment to each venue. Although they had their own road crew much of the initial set-up had to be contracted out beforehand. As part of that process they had developed very detailed specifications to denote the way the stage and surroundings needed to be set-up. David Lee Roth actually described the document as the size of the Yellow Pages. It’s is not the sort of detailed work you would expect from a lead vocalist in a rock band, particularly one that had its fair share of Rock Diva bad behaviour. In fact they not only threw a TV out the window from the suite of one of their hotel rooms but they had enough extension cable to ensure the TV stayed on all the way until it hit the ground! Another bit of folk lore from the time was the band’s requirement to have a bowl of M&Ms with the brown M&Ms removed. In fact in the contract they had with venue suppliers it stipulated if this bowl of M&Ms was not available back stage they had the right to cancel the show with full compensation. Many people explained this away as Van Halen making ABSURD demands just because they could. However the truth of the matter is a little different. The clause, called Article 126 was written with a very specific purpose. If the band arrived at a venue and David Lee Roth saw a Brown M&M in the M&Ms bowl he would demand a full check of the entire production. He believed it was a guarantee there were errors in the way the technical elements of the stage production were set-up as clearly they had not read the “yellow pages sized” instruction book! David needed a way to check that people were paying attention to the details of his requirements as a customer. So he add this little test as a cue. In fact as customers we all use cues to determine whether something is good or bad, high quality or low quality and what we might expect in terms of service. In the airline business, the airlines know that if there are stains on the trays people feel nervous about the quality and safety of the aircraft. So the good airlines pay attention to these details because of the broader message it sends about safety and airline quality. Do you have customers like this? What cues are your customers using to assess whether you will live up to your promises? Do you have the type of organizational culture where people are tuned into these customer cues? 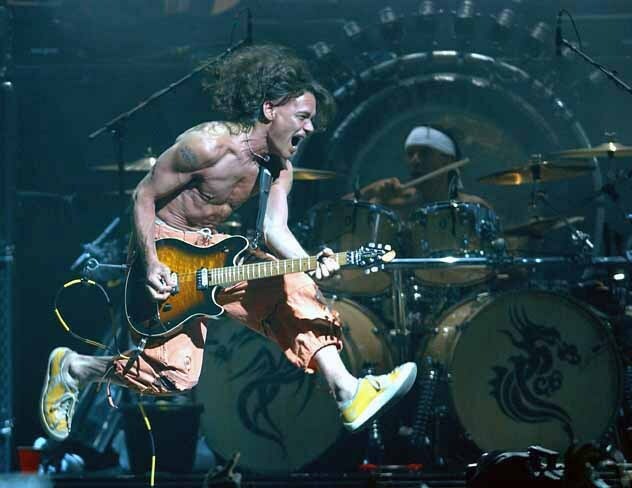 This entry was posted in Case Study, Customer Centric Culture, Customer Centric Leadership, Customer Experience, Customer Insight, Customer Satisfaction, Uncategorized and tagged van halen;david lee roth;customer cues; customer centricity. Bookmark the permalink. “Plan for the worst and hope for the best” – it’s the only way! Reblogged this on Customer Value Analytics.